The major forex participants are and what share of the foreign exchange market they stake claim to. The first forex participant is the retail Forex brokers. Individuals make use of a retail forex broker to invest their personal assets on the foreign exchange market with the aim of increasing their personal funds. These forex participants section is the largest in volume and gives way to the existence of millions of independently operating traders. Although these independent retail Forex traders make for the largest forex participants group, their impact on the foreign exchange market is relatively small compared to the Forex major participants, namely the Forex central banks, commercial Forex firms, Forex Hedge Funds and Forex commercial banks. Larger commercial Forex commercial banks are the major participants on the forex market. They contribute to the most turnover and the speculation of vast amounts of trading on a daily basis. Forex commercial banks can trade billions of dollars daily, either on behalf of their customers or trading on behalf of the bank itself (independent deals). Forex commercial banks are larger international banks such as Deutsche Bank, Barclays Bank. Forex commercial banks consist of teams of both Forex bulls and Forex bears. Forex Bulls is the term given to forex participants that trades with the intention of increasing a currency price with his / her trading activities. Forex Bears is the term given to forex participants that trades with the intension of decreasing a currency price with his / her trading activities. Forex central banks are directly involved in the regulation of a country’s inflation rate, interest rates and the reaching of currency target rates. Forex Central banks may use their foreign exchange reserves to regulate their country’s foreign exchange rate. This will all be done in favor of stabilizing their country’s currency. Forex firms usually deal with major client assets such as pension funds and endowments. 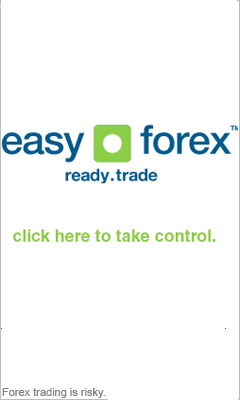 Forex firms are one of the Forex major participants. Forex firms will trade with international equity portfolios, buying foreign currency in order to secure increased profits for their clients. These Forex firms are not speculative in nature and are purely based on investment trading. Forex firms will mainly trade with trading activities relating to investment funds, international corporations and money market funds. Their international funds will diversify by investing in governmental and company securities. Xerox, Nestle and General Motors are samples of Forex firms that diversify by trading in international investments. A Forex hedge fund is a private investment fund that is limited to a set amount of professional or wealthy investors. The forex hedge fund will allow investors to trade in a wider range of investments than those done by Forex banks or retail brokers. These investments may include everything from shares, debt to commodities. Hedge funding is based on short selling investments or “hedging” investments – cutting losses when market prices start to fall.